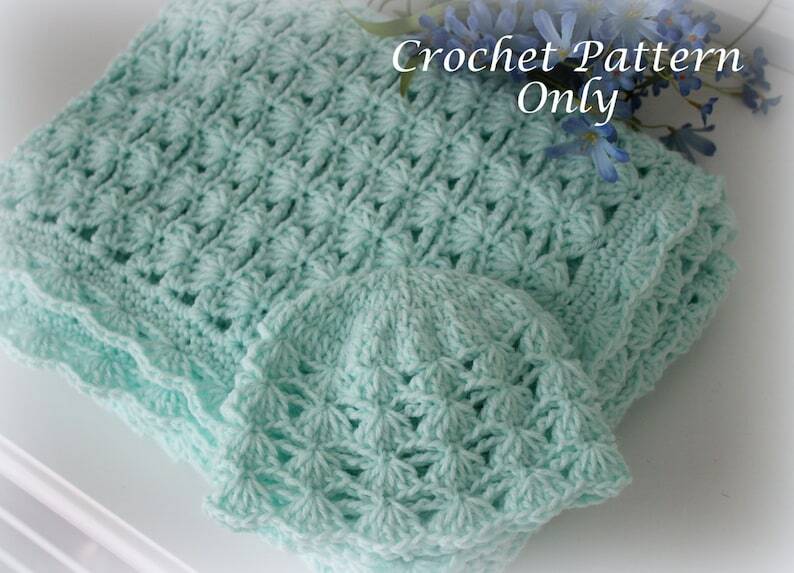 This listing is for two patterns - a baby blanket pattern, and a matching baby hat pattern (size 0-3 months). There are two separate pdf files; make sure you download both. Also each of these patterns are available in my shop for sale separately. Both items are made from worsted weight 100% acrylic yarn. The blanket is made with size H (5 mm) hook, and the hat is made with size F (3.75 mm) hook. Both patterns are very easy and suitable for beginners. The patterns are written in English, using US crochet terminology. * Make beautiful baby sets for your baby or grand baby, or for any other baby in your life! * Make baby hats, baby blankets, or both for charity! * Make baby hats, baby blankets, or baby sets for sale (but please include my name Olga Poltava as the designer). * Make other projects from this pattern! (the multiple for the stitch is included in the pattern, so it can be adjusted to other crochet projects). * Redistribute the patterns it in any form! These patterns are my original design and copyright protected. Great pattern, just right for the new baby coming to our Family. Thanks!